LEVEL 1 FIRE RESTRICTIONS!! ABSOLUTELY NO CAMPFIRES OR ANY TYPE OF FLAME IN STABLING AREA!!!! 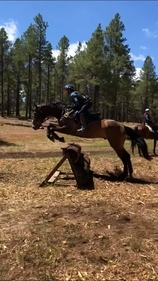 Coconino Horse Trials is so appreciative of our dedicated Area X Trainers that will be instructing all the riders for the fundraiser!!! If your instructor is not listed and would like to participate please contact Alice or Laura. RO & JOE's CATERING WILL BE OPEN IN THE POSSE ARENA AREA ALL WEEKEND! THEY WILL ALSO BE HOSTING OUR DINNER ON SATURDAY NIGHT! WE LOOK FORWARD TO SEEING YOU THERE! Be sure to fill out the "Dinner" section so we can get a reasonable head count for dinner!!!!! Thank you so much for your time and energy!!! We couldn't do it without you!!!! 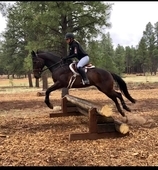 2019 Registration Form ~ Click here! 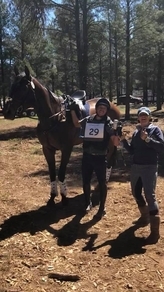 2019 USEA Release Form ~ Click Here! ** The dinner will be held in the Posse Arena area on Saturday evening. Ro & Joe's Catering will be in the barn area all weekend starting at lunch on Friday and is catering our Saturday evening dinner! Shavings will be sold through us for $10/bag - Instructions in obtaining your shavings will be on the shavings cage if no one is there. **If you are camping - there is a $20/night per rig camping fee in addition to your clinic registration. 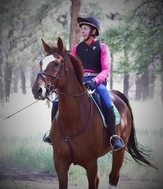 If you have not signed your USEA Liability Release form you must do so prior to mounting your horse. HAVE FUN, RIDE BRILLIANTLY, BE SAFE, AND THANK YOU FOR YOUR SUPPORT!!!! !.